These style gurus know how to mix color and print like nobody's business. The Instagram-era has surely blurred the lines between fashion and home, encouraging design enthusiasts to approach decorating with the same experimental playfulness as getting dressed. 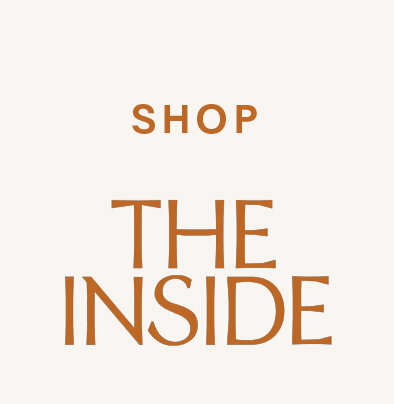 It's no secret that fashion icons have historically offered a fresh perspective in the home; it's just that now, in the age of sharing, we get a behind-the-scenes look at how they live. Below, we've rounded up a collection of homes that celebrate what it means to live with personal style. When decorating her home in the Italian town of Varese, Margherita Missoni—heiress to the Missoni fashion house—did not shy away from unexpected pattern pairings. 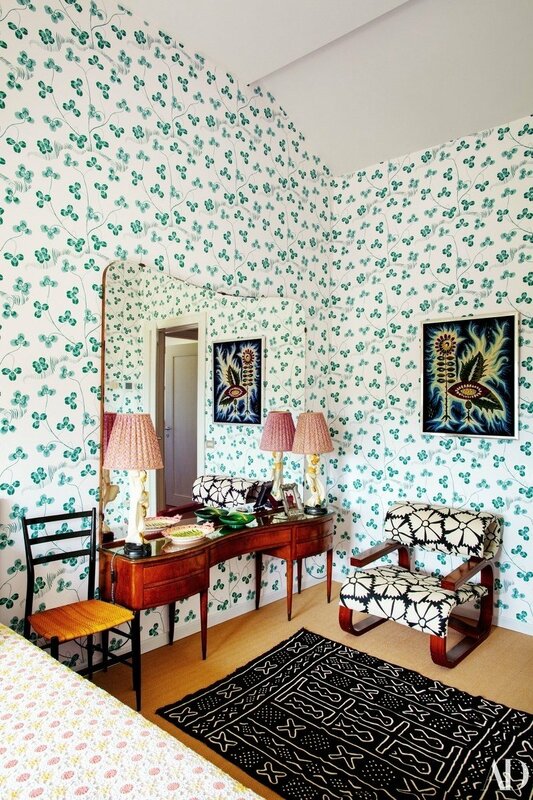 This guest room boasts a vibrant 1940s Josef Frank design on the walls and a vintage mud cloth on the floor. A surprising (and kicky) combo! In the boho-chic oasis of designer Isabel Marant, her Parisian sensibility shines. We love how the space feels casual and collected with plants dotted throughout. The Los Angeles dressing room of our collaborator Clare Vivier features cheerful stripes and her beloved lotus print—both signature elements of her California-meets-Paris vibe. In the Manhattan penthouse that sits above her studio and flagship store, Diane von Furstenberg mixes animal print with bubblegum pink. Anchored by a vintage Salvador Dalí sofa, this room captures the iconic designer's lively spirit. 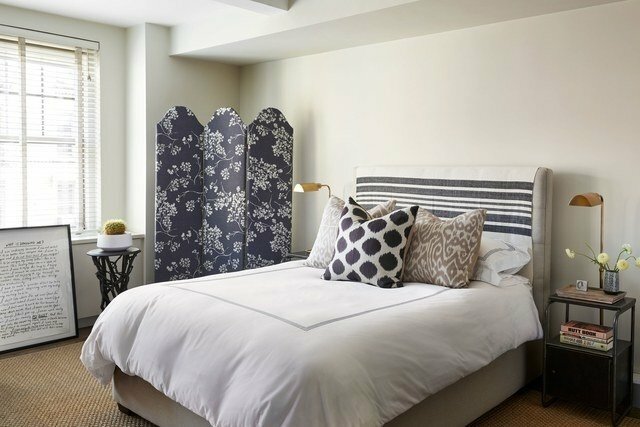 While Peter Som's West Village pad is cool and considered, the pops of print and pattern are plentiful. His bedroom features ikats, stripes, and florals, not to mention the lovely Scalloped Screen in Branches. 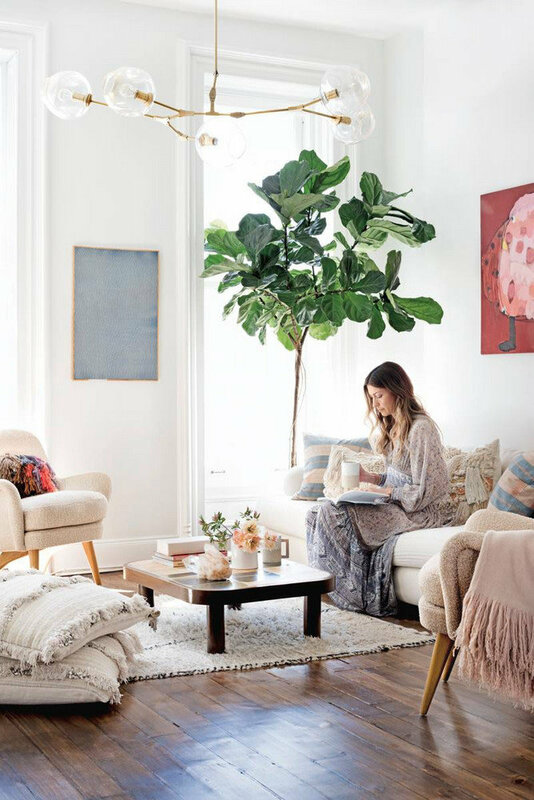 The airy and artsy feeling of Ulla Johnson's clothing is reflected in her cozy, bohemian home. With soft pinks and textured Moroccan wedding blankets, her living room offers a personal take on the global trend. 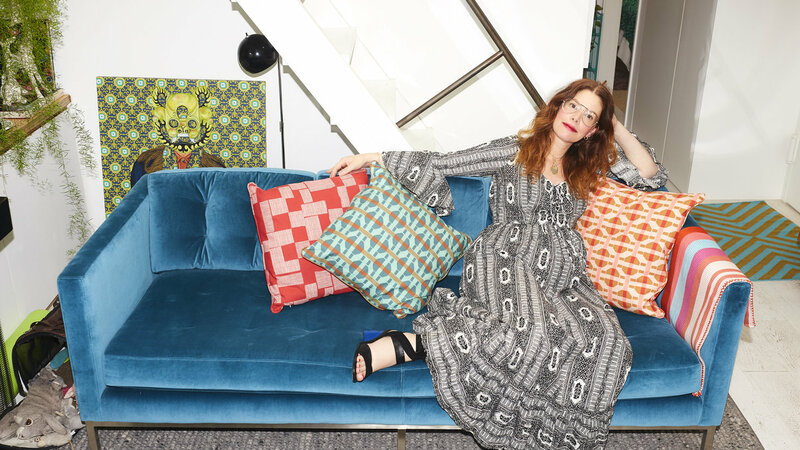 Our collaborator Christene Barberich, the Co-Founder and Global Editor-In-Chief of Refinery29, boasts an eclectic style. And she mixes old and new like a pro. Here, a striped Bolivian frazada pairs beautifully with this bold geometric pillow. 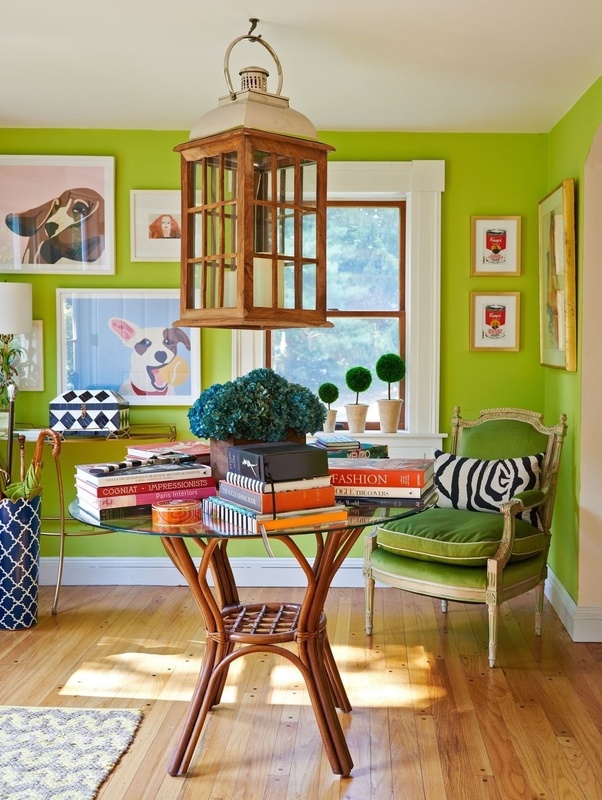 Christian Siriano, known for being the youngest winner of Project Runway, expresses his passion for color at his Connecticut home. A punchy green entryway features a pop of zebra and a gorgeous gallery wall. Never one to shy away from bold design choices, Cynthia Rowley maintains a West Village home that's very #beyondthebeige. 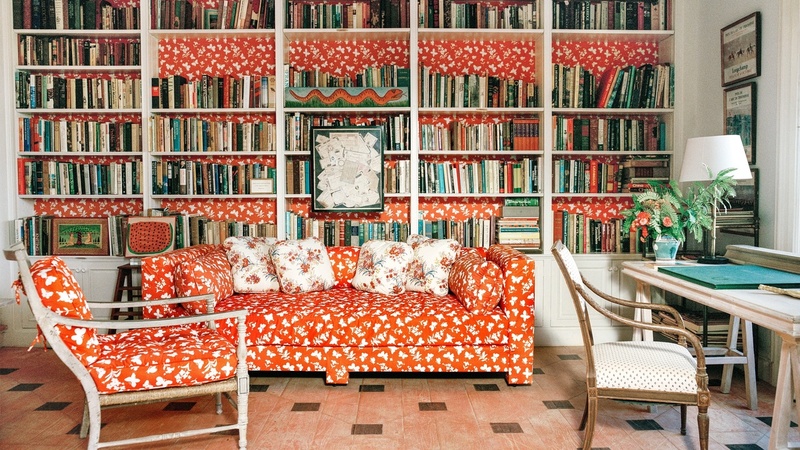 The designer herself once told Vogue: "That's my style—to mix a lot of print and pattern, and put it all together." We're especially drawn to the plush velvets on display in the living room. It has been 15 years since Tory Burch launched her namesake label. 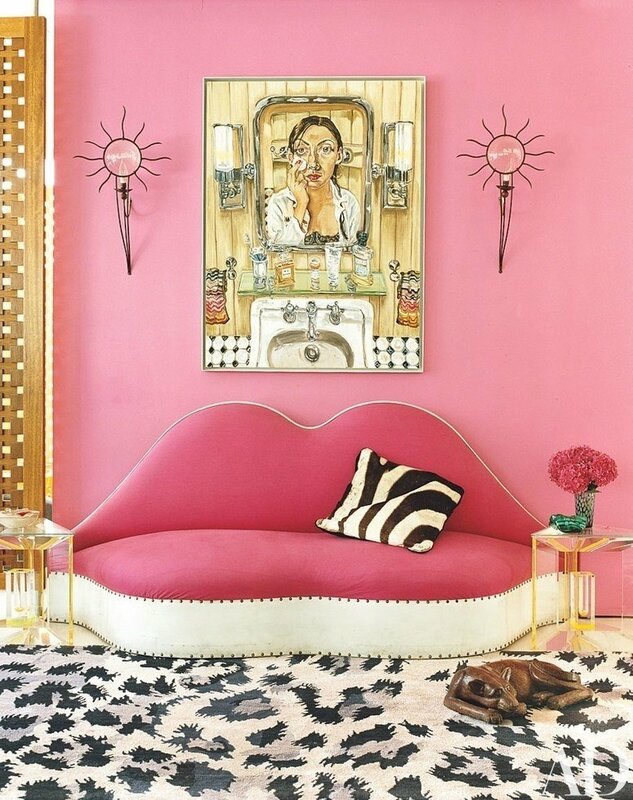 Famous for melding the preppy, the boho, and the sporty into a mix that's uniquely her own, Burch also exhibits this style mashup in her homes. We love how this Antigua retreat (formerly belonging to Bunny Mellon) celebrates the design legends of the past in a sophisticated and cheerful way.